Sundays are a time when you can really relax, your frantic Saturday of chores, socialising and shopping is over and you can switch off the alarm and find somewhere cosy for brunch and find a new market to fall in love with and get ready for the week ahead. 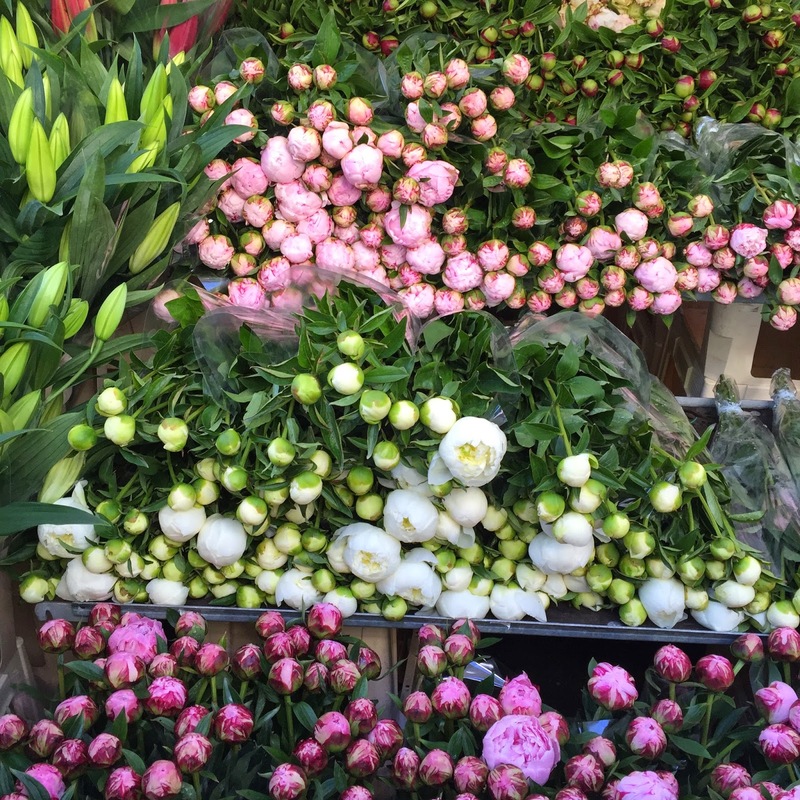 If you are a Londoner you have probably frequented Columbia road flower market at least once and if not you have probably most likely heard of it and always wanted to go...if you still haven't made the leap this time of year is perfect, the street really flourishes. The best flowers are out in bloom and the stalls overspill with huge bunches of tulips, the first of the Hydreangeas ^ and mountains of pink peonies. Situated over in Shoreditch this road comes to life on a Sunday, cramed with stalls and bustling locals stocking up on the weeks flowers. Hidden behind the stalls are tiny shops selling antique cookware. Dreamy for any cookware fanatic like me and little hatches in the walls serve piping hot coffee and the odd biscotti. You can buy Peonies by the bucket load and for a fraction of the price of any super market or florist at this time of year, worth to go just to get your hands on these. The sun beams over head as you shuffle your way down through the crowds. We arrived early, just after 10am and the street was already busy. 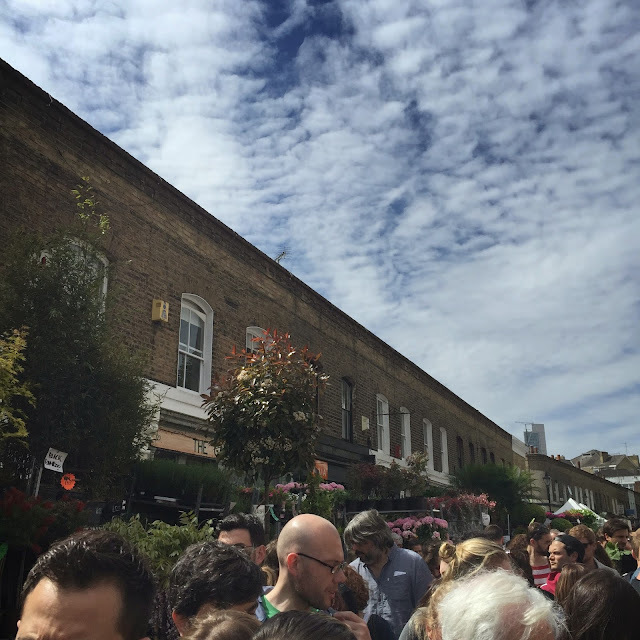 I reccommend doing a wrecki first, meander and shuffle down Columbia Road, pick out the best stalls and make note, then make your way to the end of the street and round the corner to the courtyards and cafes to fuel up before you face the crowds again. We stopped off at S. Jones' for eggs. 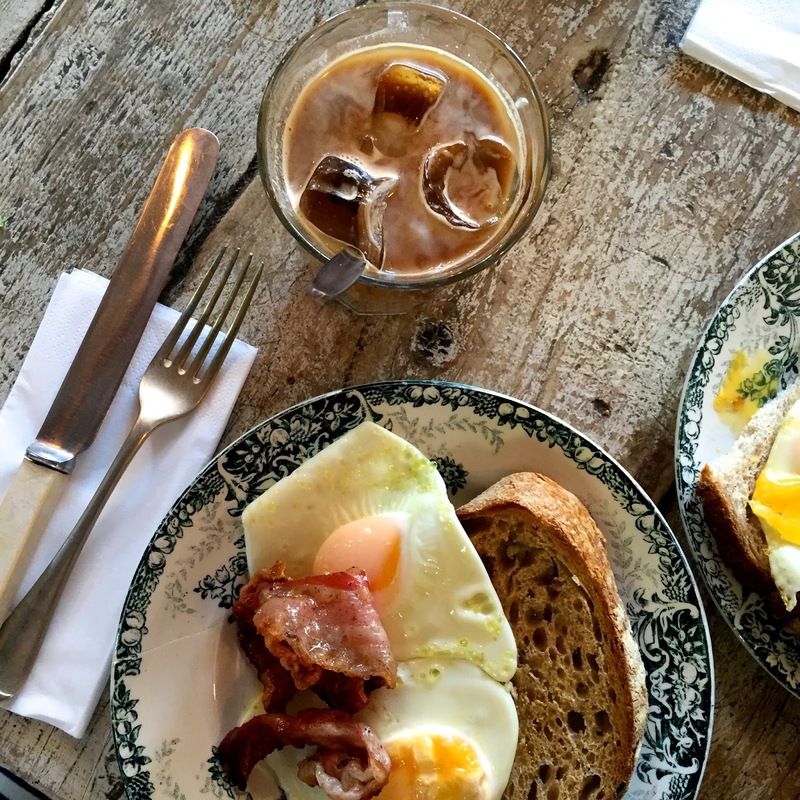 Large stipped wooden tables, soft sofas and with the promise of delicious iced coffee we couldn't say no. We went for the Olive Oil Eggs & Pancetta, all served on mismatched cookware with a large hunk of delicious sourdough, washed down with large iced coffees. Once you have eaten, work your way into the courtyards opposite, here they have all manner of rustic iron, wicker and wooden bits and bobs perfect your your urban garden. You can aquire a few bits to spice up your balcony or finally get a window box to plant up your herbs. 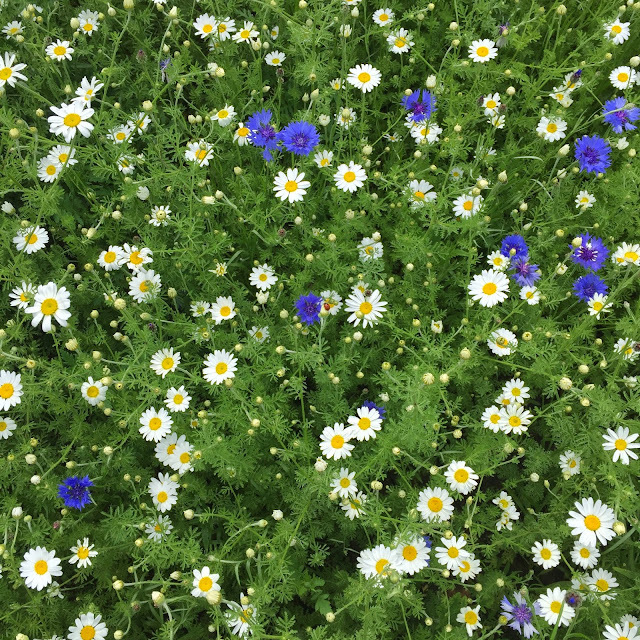 ...make your way back through the wild urban meadow just to the left of the main street as you walk back to old street station. A beautiful sun trap, perfect for photos and full of cornflowers and daisies.